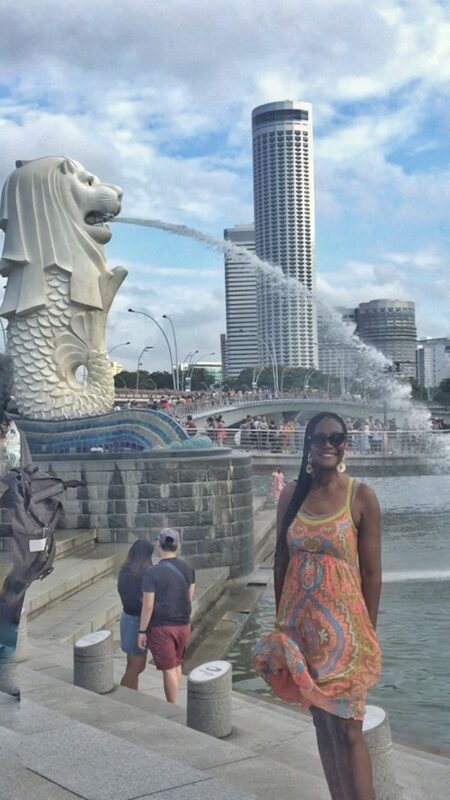 Singapore is the sizzling & sophisticated island city-state in Southeast Asia. With its exotic mix of Chinese, Malaysian, Indian and Arab cultures, Singapore is the gateway to Asia. The Lion City is a great destination for cultural enthusiasts, avid shoppers, urban explorers, and gastro-tourists. 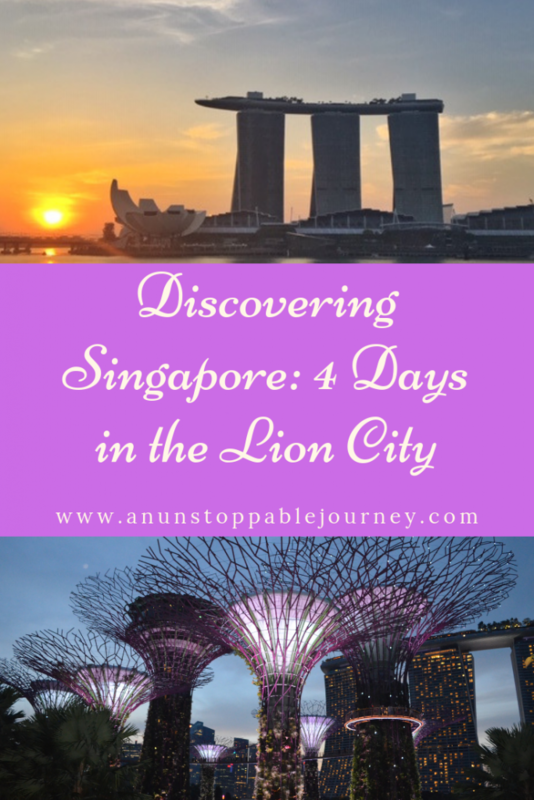 Here’s a look at some of the things I did during my time in Singapore. After a 12-hour flight, and working with a 6-hour time difference, I arrived in Singapore bright and early. Determined to stay awake and active until an early local bedtime in order to minimize jet lag, I hit the ground walking (the running wouldn’t happen until day 2) with the “Secrets of the Bay” tour, a 3-hour walking tour of Marina Bay. Marina Bay is the area of downtown Singapore that’s all business by day and all play by night. 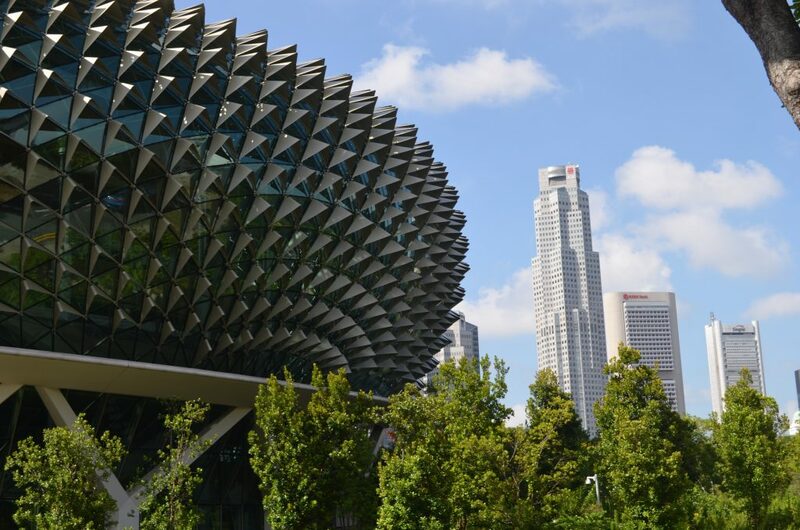 The tour took us past some of Singapore’s most incredible architecture including the famous Marina Bay Sands Hotel, the ArtScience Museum, Helix Bridge, the pedestrian bridge that owes its unique shape to DNA, and Esplanade – Theatres on the Bay, dubbed by locals “the Durian” due to its resemblance to the tropical fruit. 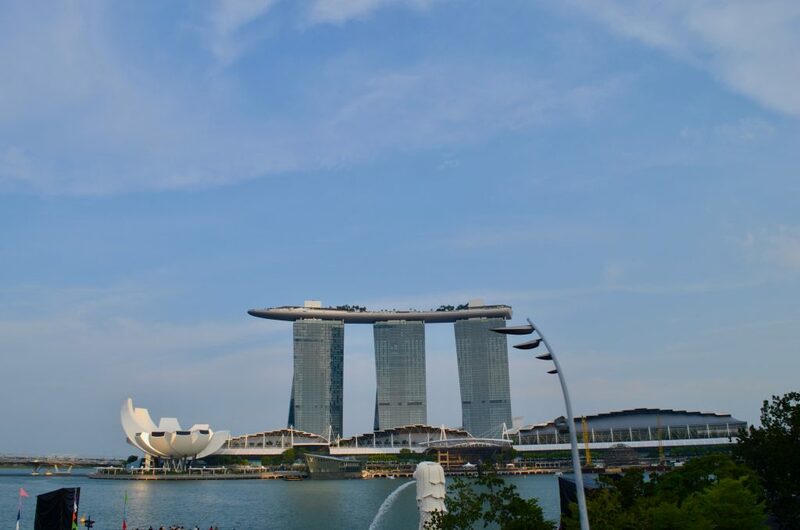 No tour of Marina Bay would be complete without a stop at Merlion Park, one of Singapore’s most iconic landmarks. 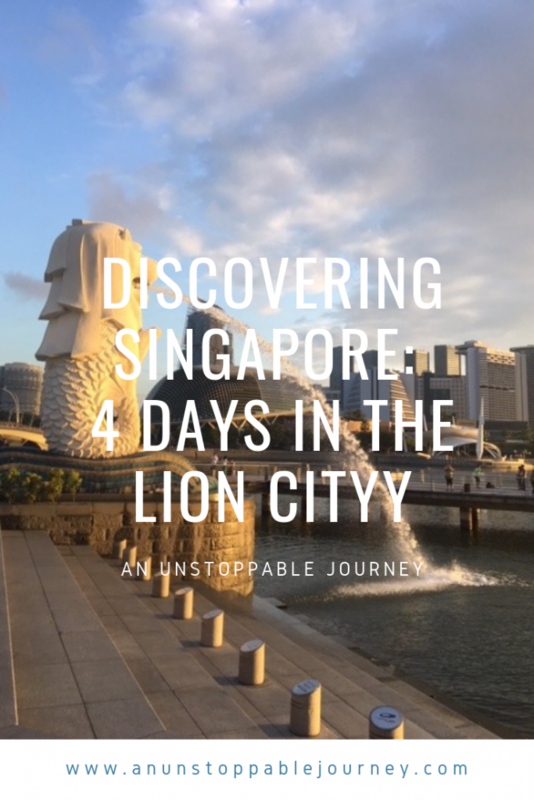 The Merlion statue has a lion’s head and the body of a fish, with the lion representing Singapura, which was Singapore’s original name – “lion” (Singa) “city” (pura) – and the fishtail symbolic of Singapore’s origins as a humble fishing village. 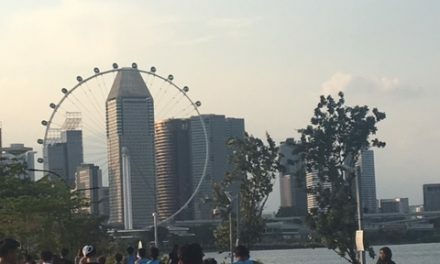 Standing in Merlion Park provides one of the best vantage points of Marina Bay Sands and the Arts and Science Museum directly across the water. After the tour and having a leisurely lunch, I crossed the Anderson Bridge and walked around the Civic District for a while passing the Civilian War Memorial, known as “The Chopsticks”, Victoria Theatre and Concert Hall, and the National Gallery Singapore which houses the world’s largest collection of Southeast Asian art. As evening approached, I made my way back to the Marina Bay area for the nightly water and light show at Marina Bay Sands. 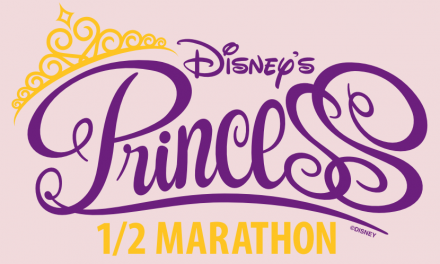 The 13-minute spectacle happens twice nightly Sunday to Thursday, and 3 times Friday and Saturday and is free of charge. Next, it’s to the SkyBar on the 57th floor of the Marina Bay Sands for cocktails, tapas, and the much-touted view. For $23SGD ($17USD) you can go to the top of the hotel, and the entry price used as a credit towards a cocktail or tapas. From the top of Marina Bay Sands, you get wonderful views of the harbor, as well as Gardens By The Bay. From the bar, you can get a look at the famous rooftop infinity pool (only hotel guests are allowed access to the pool) and hate on the crazy rich whoever taking duckface selfies. 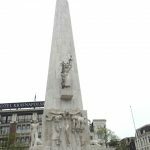 In order to get an overview of a city I’m visiting for the first time and/or a short amount of time, I always try to do a Hop-On Hop-Off (HO-HO) bus tour. 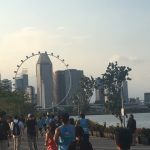 Since my half-marathon was the evening of the day, I also thought a HO-HO would be the best way to still do some sightseeing without tiring myself out, and chose to spend the day hopping on and off in Singapore’s ethnic neighborhoods. 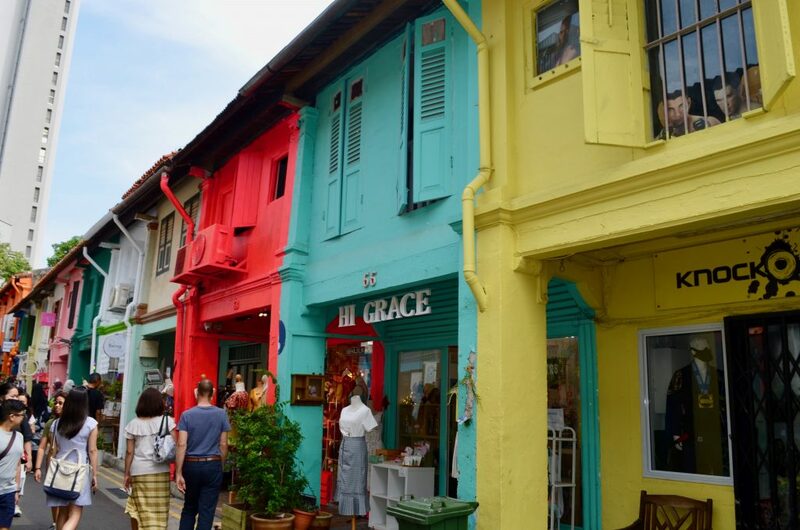 Singapore’s multiracial and multiethnic population is 75% Chinese, 15% Malay, 8% Indian and 2% other, so exploring the various ethnic neighborhoods is a must. The Malay-Arab quarter known as Kampong Glam is a vibrant neighborhood full of shops with Persian goods like rugs, fabrics and textiles, boho boutiques and cafes. The Sultan Mosque, with its distinctive golden dome, is the mecca of this neighborhood, so to speak. 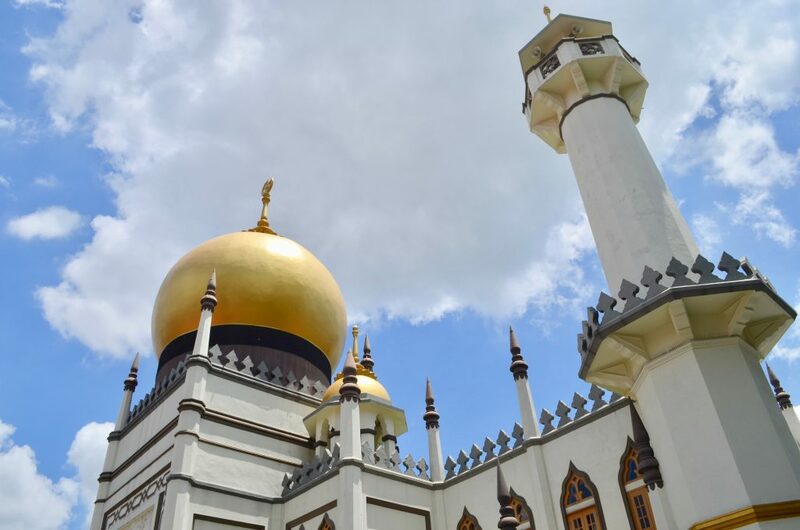 Built in 1824 for Singapore’s first sultan the mosque was declared a national monument in 1975. 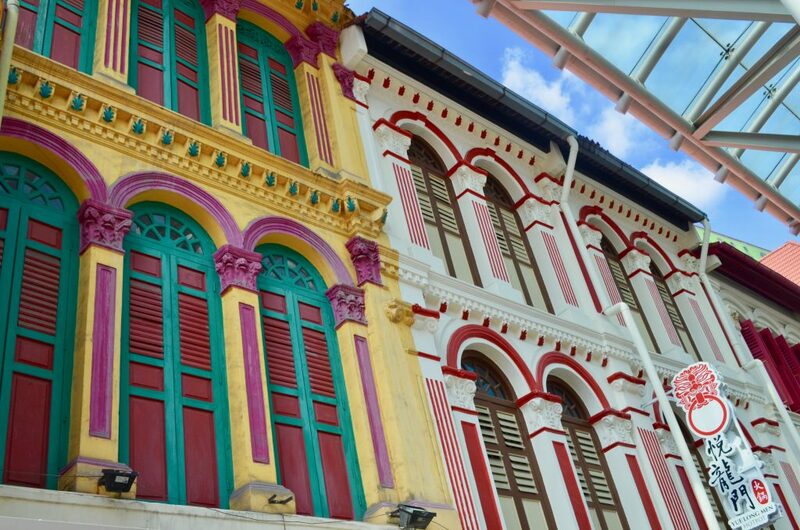 Charismatic and colorful, Little India is the center of Singapore’s Indian community. 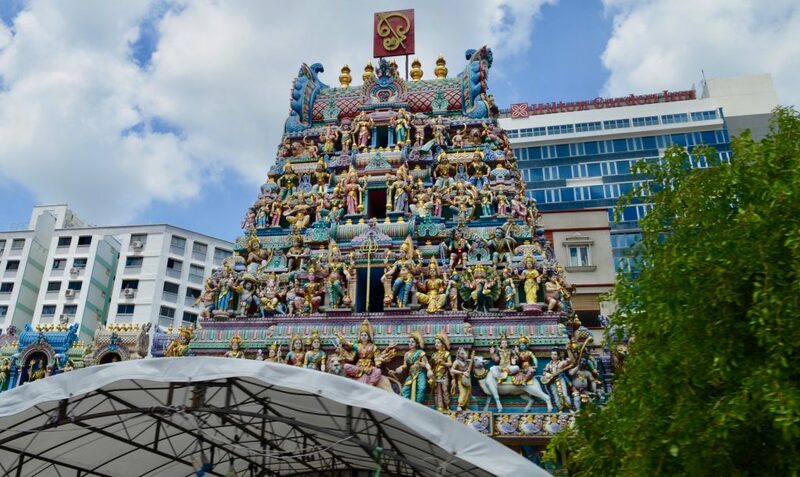 This is where to go for traditional restaurants, tailor shops, jewelry stores and to see the neighborhood landmark, the wonderfully embellished Sri Veeramakaliamman Temple. Since Chinese are the overwhelming ethnic majority in Singapore a visit to Chinatown is a must to get a feel of the true essence of the city. Some of the highlights of Chinatown are the Buddha Tooth Relic Temple & Museum, lots of shopping, massages, and FOOD. 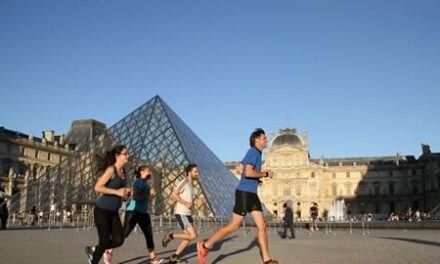 Be sure to go with an empty stomach, and sample as much as you can from restaurants to street food to the famous hawkers. Chinatown’s Food Street filled with vendors and outdoor eating areas. It is here I tried Singapore’s famous dish, chili crab. Considered one of Singapore’s National Dishes, chili crab is a hot mess. Literally. 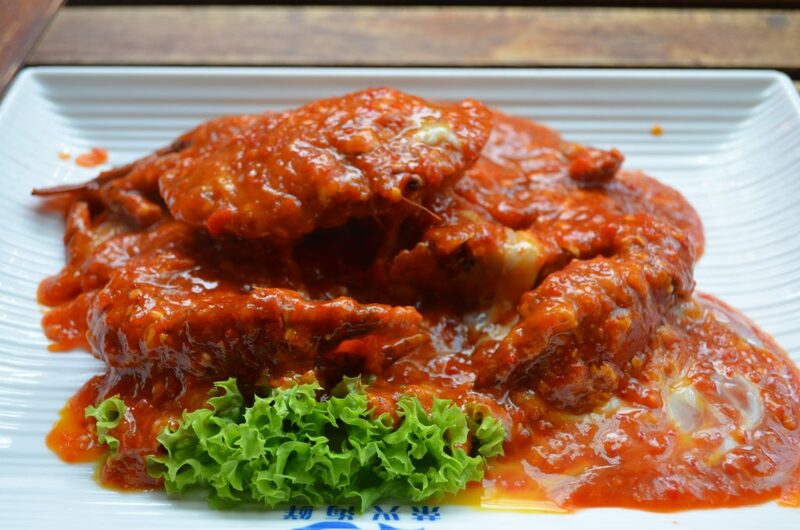 Coated with a sweet, savory and spicy tomato-based sauce and served with the shell on, chili crab is typically eaten with one’s hands. Bibs, napkins and wet wipes are usually provided, so don’t be afraid to dig in and get messy. 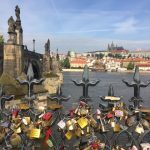 Another day another tour, but not just any tour, a FOOD tour booked via Airbnb experiences. Aaannddd, one that highlighted Singapore’s famous hawkers. Hawkers are in essence open-air food courts with lots of independent food vendors. Don’t be fooled by the hawkers’ humble stalls. Several hawkers have Michelin stars, and food guru Anthony Bourdain praised hawker food and was an ardent defender of the culture. There is also a bid for hawker culture to be nominated for UNESCO’s list of “intangible cultural heritage”. While we stopped at Tekka and Maxwell Food Centers, hawker centers made more visible by Bourdain, our Le Cordon Bleu-trained guide, P.S. aimed to take us beyond just stopping at the most popular hawkers and to focus on the diversity of food of the main ethnic groups in Singapore. We began by tucking into roti prata, a South Indian fried flatbread cooked over a flat grill similar to how a crepe is cooked. It was cooked with egg and onion and served with a side of curry for dipping, a touch that is unique to Singapore and Malaysia. The roti prata was chased with the most amazing ginger tea made with ginger, a tea bag, and hot, condensed milk. Other delectable dishes sampled on the tour included Indian rojak, a mix of tofu, tempeh, potatoes, and peanut curry. The tour was interspersed with stops to admire some of Singapore’s street art and the heritage shophouses in Chinatown as we made our way to Maxwell Center, where we gorged ourselves on sampled more amazing food, including popiah, often referred to as a Singaporean burrito and duck rice, which is slices of duck with white rice and a wonderfully aromatic sauce. We also tasted the Singapore carrot cake, a savory dish made with white carrots (radish) that I would describe as a radish omelet. ArtScience Museum located on the North Promenade of the Marina Sands Bay. Housed inside a structure that resembles an outstretched hand, the museum features international touring exhibitions and the permanent exhibition, FUTURE WORLD: Where Art Meets Science. 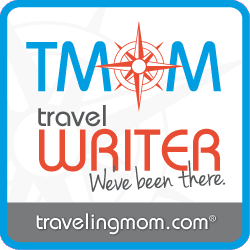 While it was nice enough, it was a little pricey (price varies depending on if you purchase tickets for 1, 2 or 3 exhibitions) and I thought it’s more suited for families with younger children. Later that day I went to Orchard Road, which is THE place to go for shopping and to check out some of the outdoor artwork found in the area. 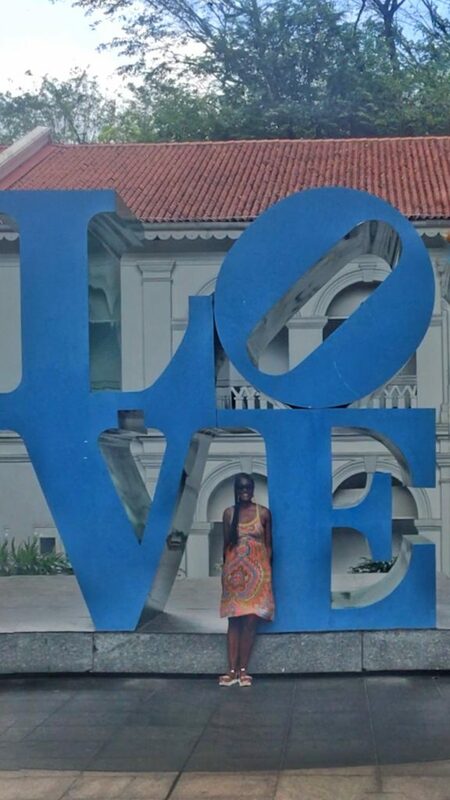 One of the works is Robert Indiana’s LOVE sculpture. Slightly hidden in an office buildings courtyard, since I was in the neighborhood, I made the extra effort to get to the famous Pop Art icon. 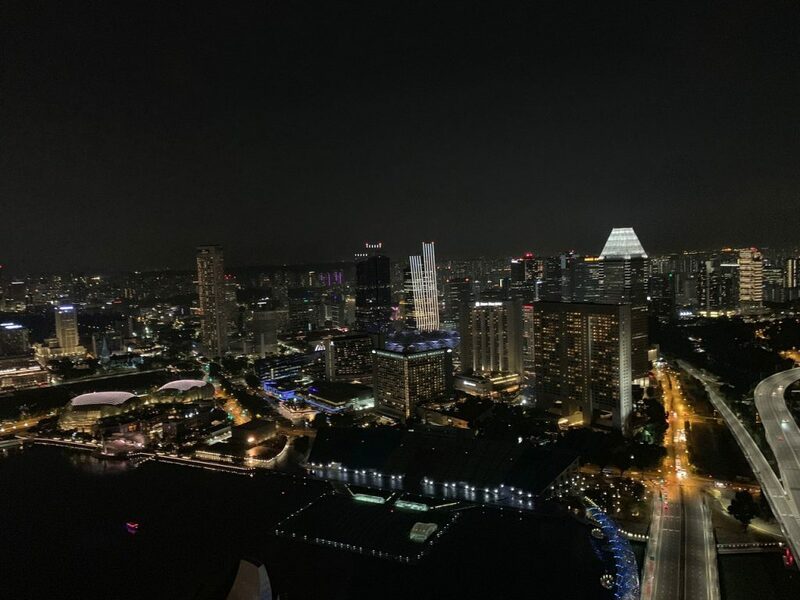 I ended the day with a nightcap atop 1-Altitude, the highest alfresco bar in the world and one of Singapore’s best rooftop bars. The bar is on the 63rd floor and has spectacular 360-degree views of the city. The cover charge is $35 SGD from 6-9pm and $45 SGD ($33 USD) from 9 pm onwards and includes 2 drinks. I preferred 1-Altitude to the SkyBar at Marina Bay Sands because the view is better, in my opinion. From 1-Altitude you see the classic Singapore skyline, including Marina Bay Sands, which you obviously can’t see if you’re on top of it. I saved the best, or least the most popular, for last and spent the day at Gardens By The Bay. 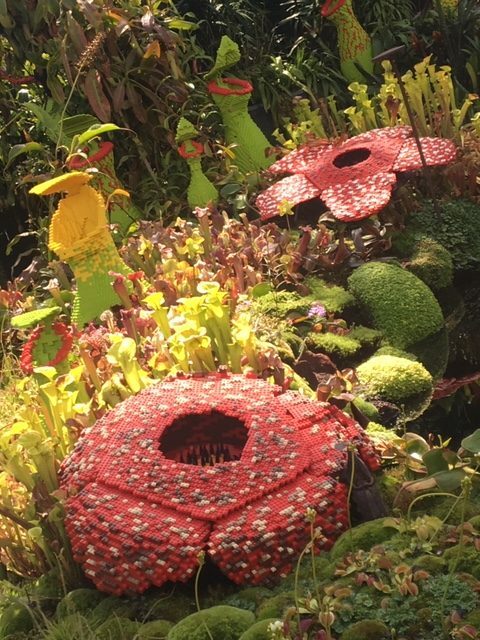 Gardens By the Bay was created as part of Singapore’s initiative to make Singapore a “City In A Garden”. 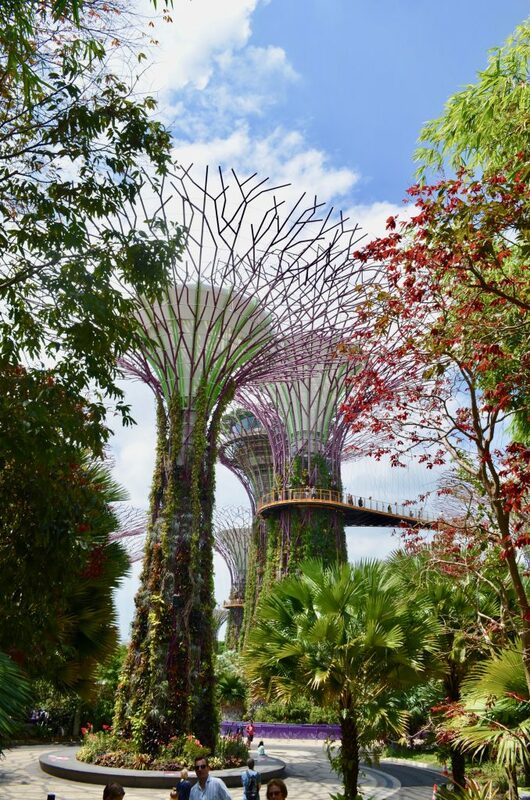 Built at a cost of $1 billion SGD ($740 million USD) the futuristic botanical garden boasts 101 hectares, 217,000 plants from over 800 different species. 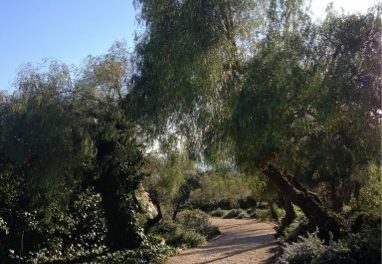 So you should basically prepare to spend several hours there. 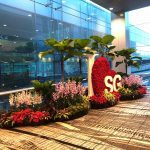 Gardens By The Bay is made up of 3 parts: Bay Central Garden with its 3-kilometer waterfront promenade, Bay East Garden has ample green spaces, great views of the city’s skyline and was the area where the Marina Run I participated in took place. 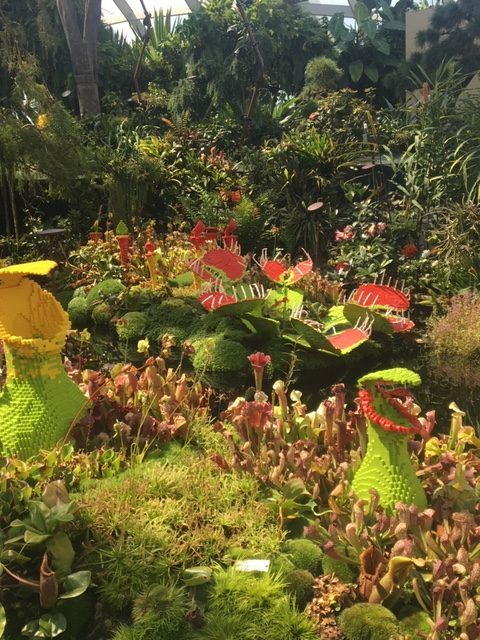 Bay South Garden is where you’ll find the Flower Dome, Cloud Forest Dome, and the Supertree Grove. 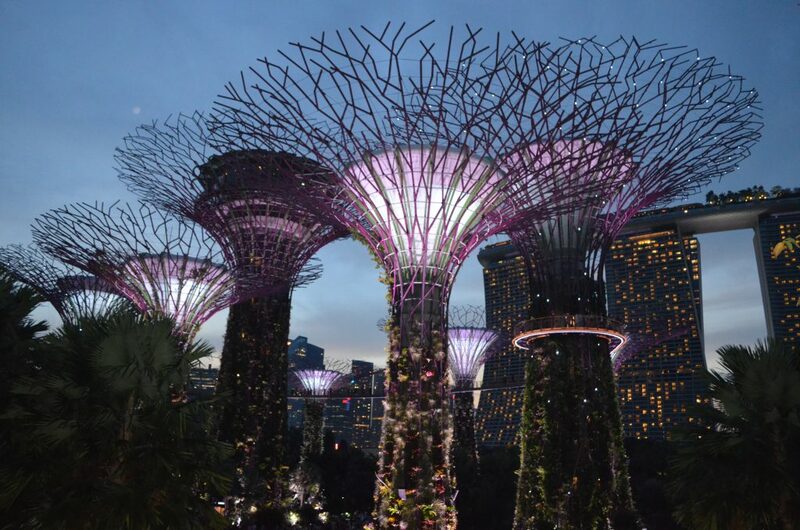 The supertrees, one of Singapore’s most popular attractions, are inspired by an orchid and resemble Singapore’s national flower, Papilionanthe Miss Joaquim. Supertree Grove has 18 supertrees, which stand between 9 and 16 stories high and each has more than 160,000 varieties of ferns and tropical plants and flowers planted on its “trunk”. 11 of supertrees have environmentally sustainable functions that allow them to generate solar power, collect rainwater and serve as air venting ducts. 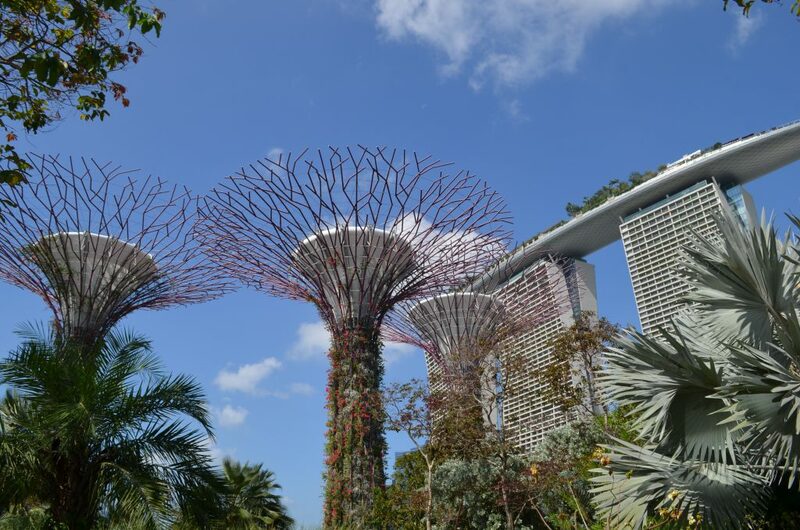 Several of the supertrees are connected and accessible via a skywalk, allowing for wonderful views of the gardens and the Marina Bay Skyline. I would recommend going in the evening when it’s cooler and to see the supertrees lit up. There’s also the wonderful “Garden Rhapsody” light and music show, which happens daily at 7:45 pm and 8:45 pm. Also at Gardens By The Bay are the Cloud Forest Dome and the Flower Dome. The Flower Dome is the largest glass greenhouse in the world. 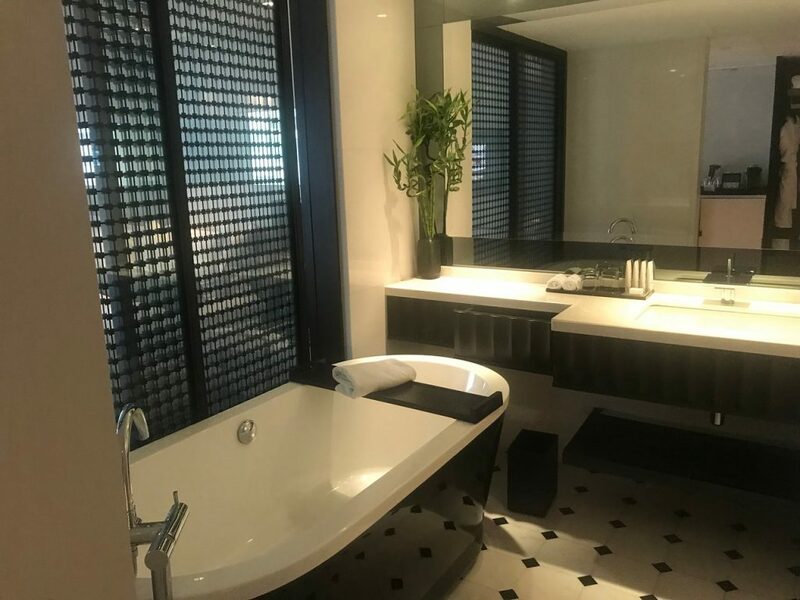 I stayed at Naumi Hotel, a luxurious urban hideaway located in the CBD and within walking distance of a number of attractions and dining options. 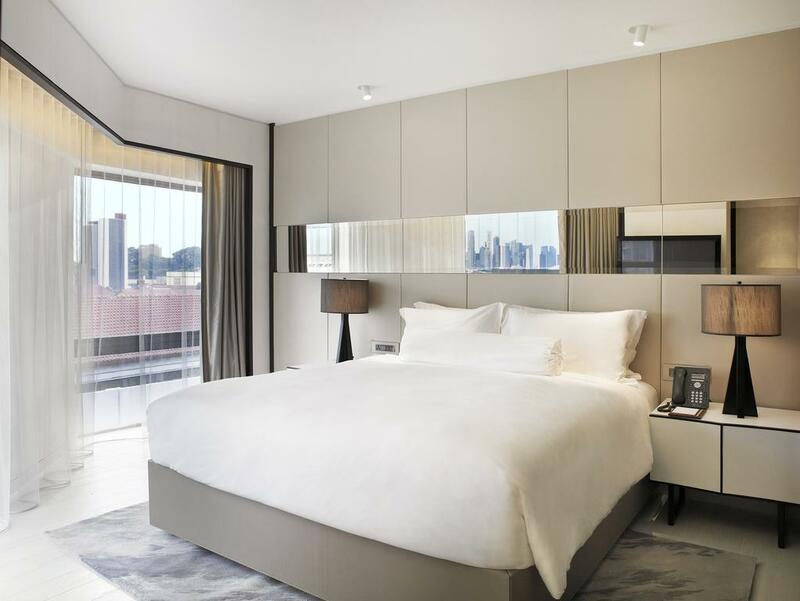 My room was spacious and stylish, with contemporary décor and amenities that included a TV with Apple TV, sound system, yoga mats, a Nespresso coffee machine, and a free mini bar. 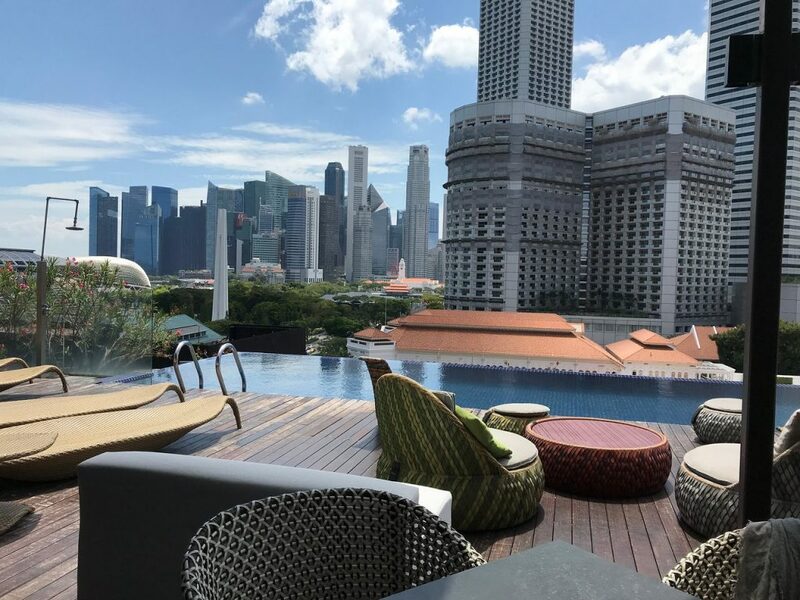 A member of Small Luxury Hotels of the World (SLH), Naumi boasts a rooftop infinity pool (Singapore’s first) that overlooks the city’s skyline, and the poolside cocktail bar, Cloud 9. Naumi also features the restaurant, Table by Rang Mahal, which features modern Indian-inspired cuisine. Table is also where breakfast is served, and at lunchtime bento-boxes are available. Dishes from Table by Rang Mahal can also be ordered through room service from 11 am to 10:30 pm. 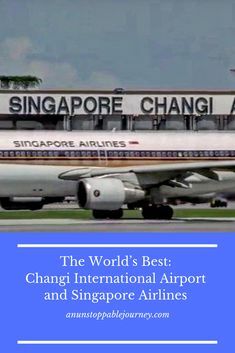 Singapore is home to Singapore Changi International Airport, and more than 100 airlines from over 400 cities fly into this international airport. 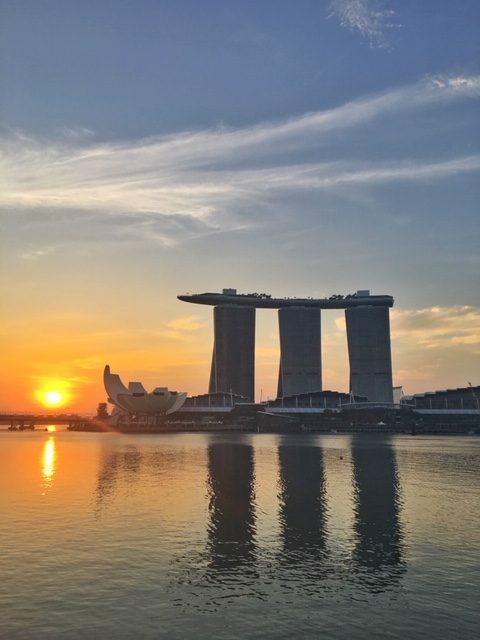 Singapore is also accessible by rail and sea, with train scenic routes connected to Malaysia and Thailand, and a host of cruise operators arriving at Singapore’s busy cruise centers. 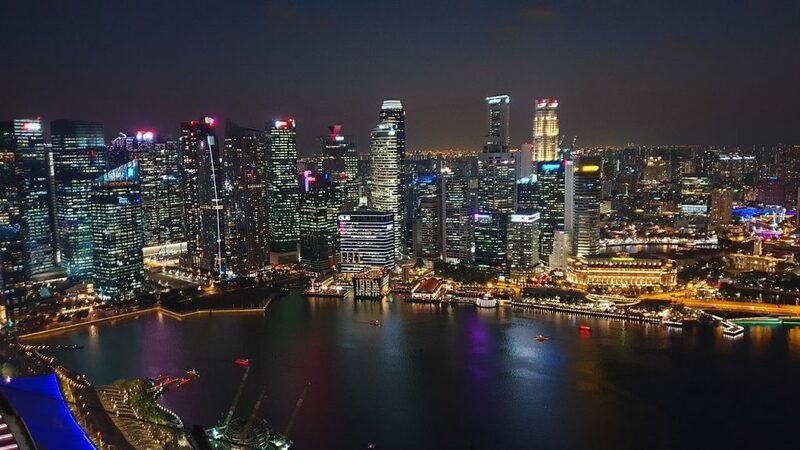 Travelers from the United States and European Union are permitted a 90-day visa-free entry into Singapore. 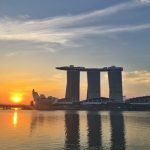 Have you ever been to Singapore? If so, please share your impression of the Asian island-state in the comments.